I’m sure most people think authors are a calm and level-headed breed. Our bio and PR pictures depict us as well groomed and smiling, and we try to be witty and intellectual at dinner parties. Ours is one of the few professions where glasses and gray hair can actually improve our standing and charisma. It’s all true (not), but you should sit with me when I’m editing or polishing, like I have been this past week. It’s true that I rarely need haircuts as the final draft takes shape – I’m too busy tearing out my hair. My expense sheets tend to fill up with purchases of coffee and whisky. There is a very good reason why authors have had a reputation of being manics or drunks, or just plain neurotic. Editing is a love-hate relationship with my book. I’ve already lived with it for over a year and the honeymoon period is over. As I work my way through the manuscript, page by page, line by line, I suffer radical mood swings from “this scene totally rocks, this is NYT bestseller material”, to “what a pile of ****, I’m a terrible writer.” As the saying goes: Feel the fear and do it anyway, right? Some of the things rattling around my head include: Plot arcs: Is this tense and dramatic enough, does it flow properly, is it exciting and believable? Characters: Will the reader fall in love with them, hate the bad guys, laugh with them, cry with them, dream about them? Structure: Are my paragraphs of varying length, am I overusing adjectives, or adverbs, are all my sentences “he did this, he did that”? Word choice: Should he scowl or frown, chuckle or giggle, is it a chill wind or an icy wind? And my own pet bugbear: Does she look, see, gaze, study, glance, peer, gawk, goggle… or a hundred other words that just mean “she saw something, dammit”? At the editing stage it is so hard to remain objective. I can agonize over a word choice or the form of a sentence only to come back ten minutes later and put it back the way it was. I’ve been known to kill masterful art because it is too verbose or intrusive at that point. On the flip side, I’ve added in horrible and clumsy explanations because I’ve convinced myself that the reader won’t understand without it. There comes a point at which I no longer trust what I’m doing – I’m fiddling with the manuscript because I’m afraid to let it go, let it fly the nest. This is where the beta readers and professional editor save my bacon by bringing fresh objectivity. Thankfully, I’m a harsher critic of myself than others are. I’ll beat myself up mercilessly, but if my editor or readers give me constructive criticism I will hang on their every word and happily consider their changes. I’m quite harmless in that regard. I might be neurotic but I’m not an axe-murderer, so sleep well at night. So if you ever consider me neurotic and overly-sensitive, with a tendency to flip-flop and waffle, then you know you’ve caught me editing and polishing. Just smile, back away, and when you turn the corner, run like hell. Oh, did I say how much I love writing? Yes, even editing. Love-hate, remember? Hello everyone, and Happy Thanksgiving to those that celebrate it! Just for a bit of fun, I thought I’d post a short survey about book reading preferences. If you read novels or novellas (and if you don’t why are you here? ), please take a couple of minutes to complete my survey. I’m not sure if you will be able to see the results on the destination site, but if not I’ll be sure to post them here at a later date. 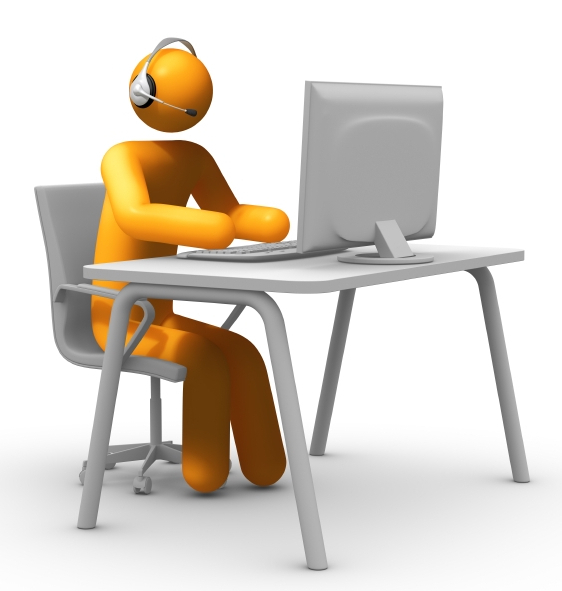 We have always received quite few questions here at Percona Support on how to avoid the dreaded “Too many connections” error, as well as what is the recommended value for max_connections. So, in this article I will try to cover best possible answers to these questions so others can mitigate similar kinds of issues. My colleague Aurimas wrote a wonderful post some time back about changing max_connections value via GDB when MySQL server is running to get rid of the “Too many connections” error without restarting MySQL. You can check here for details. MySQL uses one thread per client connection and many active threads are performance killer. Usually a high number of concurrent connections executing queries in parallel can cause significant slowdown and increase chances for deadlocks. Prior to MySQL 5.5, it doesn’t scale well although MySQL is getting better and better since then – but still if you have hundreds of active connections doing real work (this doesn’t count sleeping [idle] connections) then the memory usage will grow. Each connection requires per thread buffers. Also implicit in memory tables require more memory plus memory requirement for global buffers. On top of that, tmp_table_size/max_heap_table_size that each connection may use, although they are not allocated immediately per new connection. Most of the time, an overly high number of connections is the result of either bugs in applications not closing connections properly or because of wrong design, like the connection to mysql is established, but then the application is busy doing something else before closing MySQL handler. In cases where an application doesn’t close connections properly, wait_timeout is an important parameter to tune and discard unused or idle connections to minimize the number of active connections to your MySQL server – and this will ultimately help to avoid the “Too many connections” error. Although some systems are running alright with even a high number of connected threads, most of the connections are idle. In general sleeping threads do not take too much memory – 512 KB or less. Threads_running is a valuable metric to monitor as it doesn’t count sleeping threads – it shows active and the amount of queries currently processing, while threads_connected status variables show all connected threads value including idle connections as well. Peter wrote a nice post on it. You can find it here for further details on it. If you are using connection pool on the application side, max_connections should be bigger than max connections on the pool side. Connection pooling is also a good alternative if you are expecting a high number of connections. Now what should be the recommended value for max_connections ? There is no single right answer for that question. It depends on the amount of RAM available and memory usage for each connection. Increasing max_connections value increases the number of file descriptors that mysqld requires. Note: there is no hard limit to setting up maximum max_connections value. So, you have to choose max_connections wisely as per your workload, number of simultaneous connections to MySQL server etc. In general allowing too high of a max_connections value is not recommended because in case of some locking conditions or slowdowns if all those connections running huge contention issue may raise. In case of active connections using temporary/memory tables memory usage can go even higher. On systems with small RAM or with hard number of connections control on the application side we can use small max_connections values like 100-300. Systems with 16G RAM or higher max_connections=1000 is a good idea, of course per-connection buffer should have good/default values while on some systems we can see up to 8k max connections, but such systems usually became down in case of load spikes. To deal with it, Oracle and the MariaDB team implemented thread pool. Percona Server ported this feature from MariaDB. Read it here about its implementation in Percona Server. With a properly configured thread pool you may expect throughput to NOT decrease for up to few thousand concurrent connections, for some types of workload at least. There is no fixed rule to choose the appropriate value for max_connections because it depends on your workload. Take into account that each thread connected needs memory and expensive context switching. I would recommend choosing a reasonable number for max_connections as per your workload and try to avoid too many connections opened at the same time so the application functions properly. 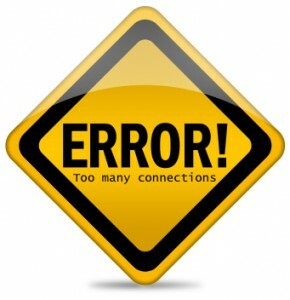 The post MySQL Error: Too many connections appeared first on MySQL Performance Blog. innobackupex: Error: The xtrabackup child process has died at /usr/bin/innobackupex line 2641. However, there’s one thing I haven’t tried yet! Since XtraBackup has the ability to read from your *.cnf file, I am not sure if the bug might occur from prior versions when such innodb_page_size is change via its codebase, i.e. done thru innobase/include/univ.i. If it fails, that could be either your *.ibd file is not within space bounds and by running or doing the pre-check, you can have the list of tablespace files that was not aligned accordingly base in your InnoDB page size. Moreover, on this blog post, if you find other workarounds to alleviate the failed assertion bug, please post in the comments below. I will add some further investigation regarding this issue in the future and as well try with the old version of MySQL. Thank you! The post Percona XtraBackup – A workaround to the failed assertion bug appeared first on MySQL Performance Blog. Downtime caused by a disaster is probable in your application’s lifetime. While caused by a large-scale geographical disaster, cyber attack, spiked consumer demand, or a relatively less catastrophic event, downtime equates to lost business. Setting up geographical disaster recovery (geo-DR) has always been challenging but Percona replication manager (PRM) with booth provides a solution for an efficient geo-DR deployment. Join me on wednesday December 4th at 10 a.m. PST for a presentation of the geo-DR capabilities of PRM followed by a step by step setup of a full geo-DR solution. The title of the webinar is, “MySQL High Availability and Geographical Disaster Recovery with Percona Replication Manager” and you can register here. Feel free to ask questions in advance here in the comments section. The webinar will be recorded and available for replay here shortly afterward. I hope to see you on Wednesday December 4th! The post Geographical disaster recovery with PRM: Register for Dec. 4 Webinar appeared first on MySQL Performance Blog. Now that Percona XtraDB Cluster 5.6 is out in beta, I wanted to start a series talking about new features in Galera 3 and PXC 5.6. On the surface, Galera 3 doesn’t reveal a lot of new features yet, but there has been a lot of refactoring of the system in preparation for great new features in the future. wsrep_provider_options is a semi-colon separated list of key => value configurations that set low-level Galera library configuration. These tweak the actual cluster communication and replication in the group communication system. By contrast, other PXC global variables (like ‘wsrep%’) are set like other mysqld options and generally have more to do with MySQL/Galera integration. This post will cover the Galera options and mysql-level changes will have to wait for another post. This is a new setting in 3.x and allows us to distinguish between nodes in different WAN segments. For example, all nodes in a single datacenter would be configured with the same segment number, but each datacenter would have its own segment. Replication traffic between segments is minimized. Writesets originating in one segment should be relayed through only one node in every other segment. From those local relays replication is propagated to the rest of the nodes in each segment respectively. Segments are used in Donor-selection. Yes, donors in the same segment are preferred, but not required. 2013-11-21 17:26:59 3853 [Warning] WSREP: There are no nodes in the same segment that will ever be able to become donors, yet there is a suitable donor outside. Will use that one. The older ‘replicator’ tag is now renamed to ‘repl’ and the causal_read_timeout and commit_order settings have moved there. No news here really. Every writeset in Galera has associated keys. These keys are effectively a list of primary, unique, and foreign keys associated with all rows modified in the writeset. In Galera 2 these keys were replicated as literal values, but in Galera 3 they are hashed in either 8 or 16 byte values (FLAT8 vs FLAT16). This should generally make the key sizes smaller, especially with large CHAR keys. Local certification failures (Deadlocks on commit) that are unnecessary. Neither case affects data consistency. The tradeoff is more efficiency in keys and key operations generally making writesets smaller and certification faster. Limits the Galera protocol version that can be used in the cluster. Codership’s documentation states it is for debugging only. This modifies the previous network packet checksum algorithm (CRC32) to support CRC32-C which is hardware accelerated on supported gear. Packet checksums also can now be completely disabled (=0). In the near future I’ll write some posts about WAN segments in more detail and about the other global and status variables introduced in PXC 5.6. The post New wsrep_provider_options in Galera 3.x and Percona XtraDB Cluster 5.6 appeared first on MySQL Performance Blog.